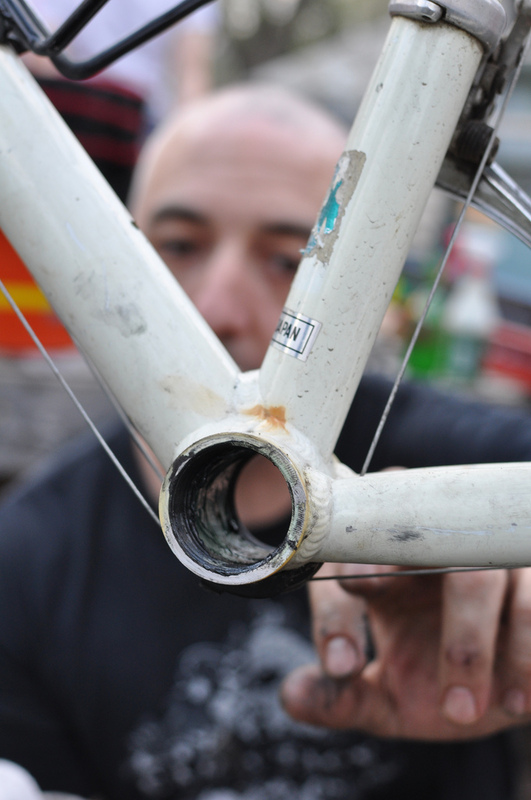 We thrive on service at Spun, however, we don’t have a “shop rates” page, because every repair is different. 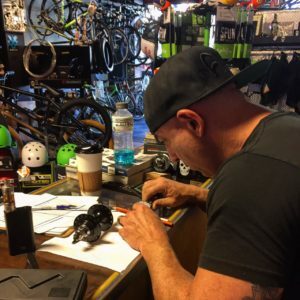 What we can promise, is that If you bring your bike to us, we will give you an accurate estimate of the work involved and fast turnaround. That is how we roll. 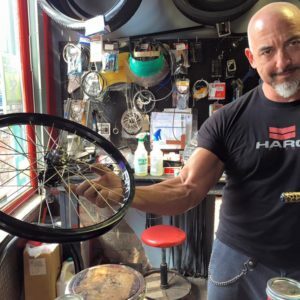 As part owner of Spun Bicycles, Dominic Lopresti is the service department end of things. 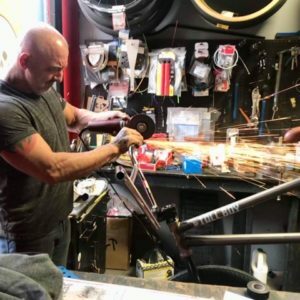 He has lived a life devoted to bicycles since he was a child and now devotes his entire experience as a mechanic to providing service solutions to those who come into the shop. From the age of 8 he was building his own bikes and by the age of 13 he was helping out at K&G Bike Shop in Kettering Ohio. 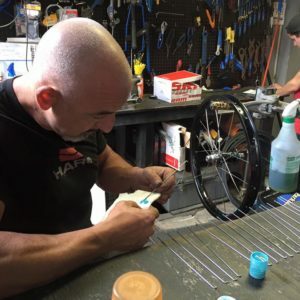 He learned how to lace a wheel at the age of 15. 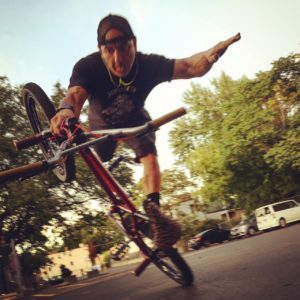 Dominic has worked at different bike shops off and on through out his entire adult life. 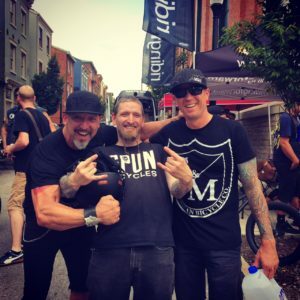 After more than 20 years in the industry, today Dominic is the ONLY mechanic at Spun Bicycles. 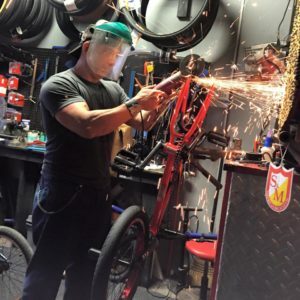 He’s is capable of fixing almost any problem and finds satisfaction in helping others make the most out of their bicycling every day. 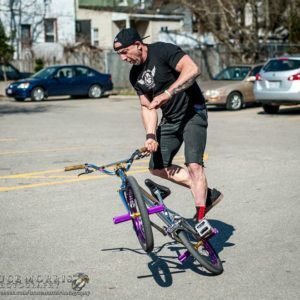 When he’s not at the shop you can often find him teaching kids to ride and repair their own bikes, putting on a BMX demo, or freestyling at various local spots around town. Spun Bicycles is located in the historic Hoffner Lodge in Cincy’s Northside district.